We provide affordable and fun guided bicycle tours in France- one region at a time. This allows us to master one region a year and offer the best bike tours in France. We provide bikes, jerseys, impeccable hotels, tasty French food in incredible countryside sceneries. This year we will be operating our bicycle tour next to Paris in a region called Picardy which is often undermined because it’s so close to the capital. However Picardy is full of historical monuments and it has a lot to offer! You would be surprised to see the number of castles and manors you’ll cycle past along our bike tours. There are also monumental forests that will bring the peace and comfort your cycling holiday needs. Picardy’s beautiful landscapes have inspired numerous authors like Jean De la Fontaine, Racine, Rousseau & Dumas, just to name a few. We have carefully chosen the accommodations to make sure you get a taste of the local culture and style. The tour runs from Thursday to Monday morning. This makes it 4 nights in a hotel and 3 days of wonderful cycling in the countryside. The average distance of everyday cycling is 45-50 Km’s at a speed of 15-18 Km/hr. The tour starts from Compiegne where your accommodation would be. Compiegne is known as one of the most beautiful towns of France. Obviously not to forget you will be delighted to taste some of the most delicious dishes of the region. France is known for its food and wine and you’ll experience all of it first hand. The first day of the tour includes a visit to a local Picardy brewery and a chance to try their tasty beers. You will also get to see an amazing sugar factory museum from the region which is listed as a historical monument. On our second day of cycling our first stop will be a beautiful fairy tale looking castle called ‘Château de Pierrefonds’. We’ll then cycle to our next stop, The Dunjon of Vez, a 20th century art display in a Medieval Dungeon. We’ll then pass by the Abbey of Morienval. On your last day on the bike, we’ll first take you to the forest of Compiègne, we’ll visit the ‘Clairière de l’armistice’ (Glade of the Armistice) which is a national & war memorial where the German peace treaty was signed to end WWI. Our next stop is a petite ville called Noyon for a visit to the Cathedral, one of the biggest of Northern France. On the way back we’ll drop by at Chiry-Ourscamp to see the mesmerising ruins of Château Mennechet which was bombed during WWI and not to forget the visit at The Abbey of the village from the 11th century. We’ll then take you back to Compiègne for our last evening where we’ll all gather for some celebratory drinks as well as a goodbye dinner. You will sleep at the hotel one last night before you take home the memories of your incredible bicycle tour in France the next day. The bikes are solid and fit for trekking. 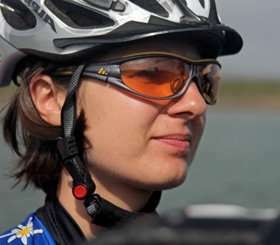 The tour guides are locals from the region who have spent years discovering untouched spots in the region hence making the tour one of the best guided cycling tours in France. There will also be an assistance van which will carry the souvenirs and tired cyclists. Refreshments, lunch and breakfasts are included for all days along with a grand goodbye dinner at the end of the tour.